Most people in the world are being deceived by an evil genius bent on destroying their lives - a brilliant mastermind called the devil, or Satan. But this dark prince is much more than what you might think... many say he's just a devious mythical figure, but the Bible says he's very real, and he's deceiving families, churches, and even nations to increase sorrow and pain. Here are the Bible's amazing facts about this prince of darkness and how you can overcome him! Sin originated with Satan, who is also called the devil. 1. With whom did sin originate? "The devil sinneth from the beginning." 1 John 3:8. "That old serpent, called the Devil, and Satan." Revelation 12:9. Answer: Satan, also called the devil, is the originator of sin. Without the Scriptures, the origin of evil would remain unexplained. Satan was living in heaven when he sinned. 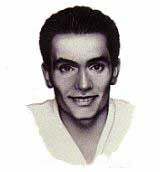 His name was Lucifer, which means "Day Star." 2. What was Satan's name before he sinned? Where was he living at that time? "How art thou fallen from heaven, O Lucifer, son of the morning!" Isaiah 14:12. Jesus said, "I beheld Satan as lightning fall from heaven." Luke 10:18. "Thou wast upon the holy mountain of God." Ezekiel 28:14. Answer: His name was Lucifer, and he was living in heaven. Lucifer is symbolized by the king of Babylon in Isaiah 14 and as the king of Tyrus in Ezekiel 28. Lucifer was a heavenly angel created by God. He was perfect in wisdom and beauty and stood next to God's throne. 3. What was the origin of Lucifer? What responsible position did he hold? How does the Bible describe him? "Thou wast created." Ezekiel 28:13, 15. "Thou art the anointed cherub that covereth." Ezekiel 28:14. "Thou sealest up the sum, full of wisdom, and perfect in beauty ... every precious stone was thy covering ... the workmanship of thy tabrets and of thy pipes was prepared in thee in the day that thou wast created. ... Thou wast perfect in thy ways from the day that thou wast created, till iniquity was found in thee." Ezekiel 28:12-15. Answer: Lucifer was created by God, as were all other angels (Ephesians 3:9). Lucifer was a "covering" cherub, or angel. 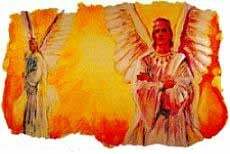 One great angel stands on the left side of God's throne and another on the right (Psalms 99:1). Lucifer was one of those highly exalted angel leaders. Lucifer's beauty was flawless and breathtaking. His wisdom was perfect. His brightness was awe-inspiring. Ezekiel 28:13 seems to indicate that his throat was specially prepared to make him an outstanding musician. Some think he led the angelic choir. Satan wants people to worship him. He even tried to persuade Jesus to worship him. 4. What happened in Lucifer's life that led him to sin? What blasphemous sin did he then commit? "Thine heart was lifted up because of thy beauty, thou hast corrupted thy wisdom by reason of thy brightness." Ezekiel 28:17. "For thou hast said in thine heart, ... I will exalt my throne above the stars of God: ... I will be like the most High." Isaiah 14:13, 14. Answer: Pride, jealousy, discontent, and self-exaltation arose in his life. Lucifer decided to attempt to unseat God and then demand that all worship him. It was treason of the worst kind. Note: Why is worship such a big thing? Worship is the key factor in the ongoing warfare between God and Satan. People were created to be happy and fulfilled only when they worship God solely. Not even unfallen angels of heaven are to be worshiped (Revelation 22:8, 9). Satan sought worship in the beginning. Centuries later, when he tempted Jesus in the wilderness, worship was still the central issue (Matthew 4:8-11). In these last days, God is calling upon all people to worship Him (Revelation 14:6,7). This so infuriates Satan that he will try to force people to worship him or else be killed (Revelation 13:15). power, prestige, food, pleasure, possessions, one's own opinion, etc. God says, "Thou shalt have no other gods before me." Exodus 20:3. And unless we worship Him only, He counts us against Him (Matthew 12:30). This news is shocking, but true. If anything or anyone other than God receives first place in my life, I am innocently perhaps worshiping and supporting Satan. Does God have first place in my life, or am I unconsciously elevating Satan? It is a sobering question, isn't it? Lucifer's discontent became open rebellion against God. One-third of heaven's angels joined him in an attempt to overthrow God. As a result, Lucifer and his followers were cast out of heaven. 5. What happened in heaven as a consequence of Lucifer's rebellion? "And there was war in heaven: Michael and his angels fought against the dragon; and the dragon fought and his angels, And prevailed not; neither was their place found any more in heaven. And the great dragon was cast out, that old serpent, called the Devil, and Satan, which deceiveth the whole world: he was cast out into the earth, and his angels were cast out with him." Revelation 12:7-9. 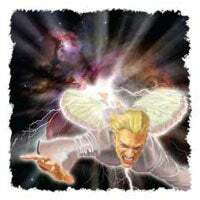 Answer: Lucifer won the support of one-third of the angels (Revelation 12:3, 4) and caused an insurrection in heaven. God had no choice but to oust Lucifer and his angels. This was the greatest battle, by far, ever fought. Lucifer's aim was to usurp God's throne, even if it might eventually lead to murder (John 8:44). After his expulsion from heaven, Lucifer was called Satan (adversary) and devil (slanderer), and his angels were called demons. Satan's headquarters is the earth. He hates human beings and aims to hurt God by destroying you. 6. Where is Satan's present headquarters? How does he feel about people? "The Lord said unto Satan, From whence comest thou? And Satan answered the Lord, and said, From going to and fro in the earth, and from walking up and down in it." Job 2:2. "Woe to the inhabitants of the earth and of the sea! for the devil is come down unto you, having great wrath, because he knoweth that he hath but a short time." Revelation 12:12. "Your adversary the devil, as a roaring lion, walketh about, seeking whom he may devour." 1 Peter 5:8. Answer: Contrary to popular opinion, Satan's headquarters is the earth, not hell. God gave Adam and Eve dominion over the earth (Genesis 1:26). When they sinned, they lost it to Satan (Romans 6:16), who then became ruler, or prince, of the earth (John 12:31). Satan bitterly hates humans, who were created in God's image. He can't touch God. So, instead, his venom is directed against people who are God's children. He's a hateful, vicious murderer whose aim is to destroy you and thus hurt God. Adam and Eve were not to eat of the tree of knowledge of good and evil, under the penalty of death. 7. When God created Adam and Eve, what one thing did He forbid them to do? What was to be the penalty for disobedience? "But of the tree of the knowledge of good and evil, thou shalt not eat of it: for in the day that thou eatest thereof thou shalt surely die." Genesis 2:17. Answer: They were not to eat of the tree of the knowledge of good and evil. The penalty for eating of the tree was to be death. Satan took the form of a talking serpent and convinced Eve to eat of the forbidden fruit. 8. What medium did Satan use to deceive Eve? What lies did Satan tell her? "Now the serpent was more subtil than any beast of the field which the Lord God had made. And he said unto the woman, Yea, hath God said, Ye shall not eat of every tree of the garden?" "And the serpent said unto the woman, Ye shall not surely die: For God doth know that in the day ye eat thereof, then your eyes shall be opened, and ye shall be as gods, knowing good and evil." Genesis 3:1, 4, 5, emphasis added. Answer: Satan used a serpent--the wisest, most appealing animal God made--to deceive Eve. Some think the serpent originally had wings and flew (Isaiah 14:29; 30:6). Remember, it did not crawl until God cursed it (Genesis 3:14). Satan's lies were: (1) you won't die, and (2) eating the fruit will make you wise. Satan, who invented lying (John 8:44), mixed truth with the lies he told Eve. Lies that include some truth are the most effective of all. It was true they would "know evil" after sinning. In love, God had withheld from them the knowledge of heartache, grief, suffering, pain, and death. Satan, as he does today, made the knowledge of evil appear attractive. Satan told lies to misrepresent God's character because he knew that no one would ever turn away from such a loving God unless he misunderstood His character. Eating the forbidden fruit allied Adam and Eve with Satan, God's bitter enemy. 9. Was eating a piece of fruit such a bad thing? Why were Adam and Eve removed from the garden? "To him that knoweth to do good, and doeth it not, to him it is sin." James 4:17. "Sin is the transgression of the law." 1 John 3:4. "He that committeth sin is of the devil." 1 John 3:8. "And the Lord God said, Behold, the man is become as one of us, to know good and evil: and now, lest he put forth his hand, and take also of the tree of life, and eat, and live for ever." "So he drove out the man; and he placed at the east of the garden of Eden Cherubims, and a flaming sword which turned every way, to keep the way of the tree of life." Genesis 3:22, 24. Answer: Yes, eating of the fruit was a sin because it was a direct rejection of one of God's few requirements. It was open rebellion against God's law and authority. By rejecting one of God's commands, Adam and Eve allied themselves with Satan, God's enemy, and thus brought separation between themselves and God (Isaiah 59:2). Satan hoped the couple would sin and then eat of the tree of life, and thus become immortal sinners. But God removed them from the garden to prevent such a tragedy. 10. What amazing facts does the Bible reveal regarding Satan's methods to hurt, deceive, discourage, and destroy people? 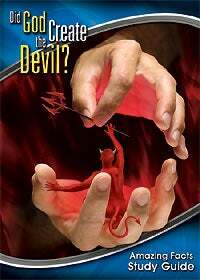 Answer: Satan uses every conceivable approach to deceive and destroy people. His demons can appear and pose as righteous people, even clergymen. And Satan will appear as a glorious angel of light with power to call fire down from heaven. He will impersonate Jesus. But you have been warned, so don't fall for it. When Jesus comes, every eye will see Him (Revelation 1:7). He will remain in the clouds and not even touch the earth (1 Thessalonians 4:17). Satan's end-time deceptive power will be so great that almost the entire world will follow him. 11. How powerful and effective are Satan's temptations and strategies? He convinced: one-third of the angels (Revelation 12:3-9); Adam and Eve (Genesis 3); all but eight people in Noah's day (1 Peter 3:20). 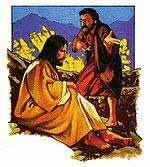 He will make the lost feel saved (Matthew 7:21-23). Almost the entire world will follow him (Revelation 13:3). Few will be saved (Matthew 7:14; 22:14). Answer: Satan's success rate is so astoundingly high that it seems almost unbelievable. He deceived a third of the angels. In Noah's day, all but eight people were deceived. Before Jesus comes the second time, Satan will appear as an angelic being, posing as Christ. His deceptive power will be so great that our only safety will lie in refusing to go to see him (Matthew 24:23-26). If you absolutely refuse to look and listen, Jesus will protect you from deception (John 10:29). At the end of the world, Satan will be thrown into the lake of fire, which will turn him into ashes and end his existence for eternity. 12. When and where will the devil receive his punishment? What will that punishment be? "So shall it be in the end of this world. The Son of man shall send forth his angels, and they shall gather out of his kingdom all things that offend, and them which do iniquity; And shall cast them into a furnace of fire." Matthew 13:40-42. "And the devil that deceived them was cast into the lake of fire and brimstone." Revelation 20:10. "Depart from me, ye cursed, into everlasting fire, prepared for the devil and his angels." Matthew 25:41. "Therefore will I bring forth a fire from the midst of thee, it shall devour thee, and I will bring thee to ashes upon the earth in the sight of all them that behold thee ... and never shalt thou be any more." Ezekiel 28:18,19. Answer: The devil will be cast into the lake of fire on this earth at the end of the world. The fire will devour Satan, turn him into ashes, and end his existence for eternity. This fire also will destroy all sinners. In this final showdown, not one being on God's side will die and not one being on Satan's side will survive. Note: It is not possible to adequately describe the sadness and anguish the Father and Son will feel at Satan's destruction. He was closer to them than any other being--a warm, personal friend. To destroy him and the millions who have followed him will pain the Father and the Son more than the burning will hurt anyone in the fire. God's people in heaven will be safe from sin forever. It will never rise again. 13. What is it that forever settles the horrible problem of sin? Will sin ever rise up again? "As I live, saith the Lord, every knee shall bow to me, and every tongue shall confess to God." Romans 14:11. (See also Philippians 2:10,11; Isaiah 45:23.) "Affliction shall not rise up the second time." Nahum 1:9. First, all beings in heaven and earth, including the devil and his angels, will of their own free choice kneel and publicly confess that God is truthful, fair, and righteous. No questions will remain unanswered. All sinners will openly admit that they are lost because of their determined refusal to accept God's love and salvation. They will admit that justice demands they must die. All will confess that they deserve eternal death. Second, sin will be purged from the universe by the total and final destruction of sin, sinners, the devil, and his angels. God is positive on this point: Sin will never again arise to mar God's universe. Jesus made the destruction of sin possible. 14. Who makes the final, complete eradication of sin from the universe a certainty? "For this purpose the Son of God was manifested, that he might destroy the works of the devil." 1 John 3:8. "Forasmuch then as the children are partakers of flesh and blood, he also himself likewise took part of the same; that through death he might destroy him that had the power of death, that is, the devil." Hebrews 2:14. Answer: Through His life, death, and resurrection, Jesus made the eradication of sin a certainty. God, our Father, loves us more than any earthly father could ever love his children. He can hardly wait to receive us into His new kingdom. 15. How does God the Father feel about people? Answer: The Father loves people as much as the Son does. Jesus' key aim in life was to demonstrate His Father's character in His own life so people would know how loving, warm, and caring the Father really is (John 5:19). Satan misrepresents the Father as unfeeling, aloof, exacting, stern, and unapproachable (the devil's own traits). He even labels his own ugly, calamitous acts as "acts of God." Jesus came to wipe this slander off His Father's name and demonstrate that our heavenly Father loves us more than a mother loves her child (Isaiah 49:15). Jesus' favorite theme was God's patience, tenderness, and abundant mercy. In order to make people supremely happy, our heavenly Father has prepared a fabulous eternal home for them. Our dreams here are no match for what He has waiting! He can hardly wait to welcome His people on the glad homecoming day just ahead. Let's get the word out! And let's be ready. The countdown has already begun. 16. I am pleased to know that God the Father loves me as much as Jesus does. 1. Was the fruit that Adam and Eve ate an apple? We do not know. The Bible does not say. 2. Where did the concept originate that portrays the devil as a red, half-man and half-beast with horns and tail? It came from pagan mythology and pleases the devil. He knows thinking people reject monsters as fable and so will be led to deny his existence. Those who do not believe in a devil are the first to be captured by his wiles. 3. God said to Adam and Eve, "In the day that thou eatest thereof thou shalt surely die." Genesis 2:17. Why didn't they die that day? (1) The "first" death we all die (Hebrews 9:27). 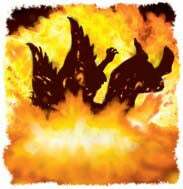 (2) The "second" death the wicked die in hellfire at the end of time (Revelation 21:8). The difference is that there is no resurrection from the second death. It is eternal. When Adam and Eve sinned, they immediately would have died the second death except for the fact that Jesus stepped forward and offered to die the second death on Calvary for every person. His supreme sacrifice spared them (Hebrews 2:9). Regarding the first death, the literal rendition of the word "die" in Genesis 2:17 is "dying thou shalt die," which is noted in the margin of most Bibles. It means that Adam and Eve would enter into the process of dying. Before sinning, the couple possessed an undying, sinless nature. This nature was perpetuated by eating of the tree of life. At the moment of sin, their natures changed to dying, sinful natures. This is what God had predicted. Because they were barred from the tree of life, decay and deterioration, leading ultimately to death, began immediately. The grave became a certainty. The Lord stressed this later when He said to them, "For dust thou art, and unto dust shalt thou return." Genesis 3:19. 4. But since God created Lucifer, isn't He really responsible for his sin? Not at all. God created Lucifer a perfect, sinless angel. Lucifer made a devil of himself. Freedom to choose is a cornerstone principle of God's government. God knew Lucifer would sin when He created him. If at that point God had refused to create him, He would have been repudiating that prime principle of free choice. So, knowing full well what Lucifer would do, God still created him. The same facts apply to the creation of Adam and Eve. And, closer to home, these facts apply to you and me. God knows before we are born how we will live, but even so, He permits us to live and choose whether to endorse His government or Satan's. God is willing to be misunderstood and falsely accused and blamed for ages, while taking the time to allow every person to freely choose whom he will follow. This glorious, crucial gift of freedom could come only from a just, open, loving God. It is an honor and joy to serve such a Lord and friend. The sin problem will soon end. In the beginning, everything was "very good." Genesis 1:31. Now "the whole world lieth in wickedness." 1 John 5:19. People everywhere are choosing to serve God or Satan. Use your fantastic, God-given freedom to choose to serve the Lord. 5. Why didn't God destroy the devil when he sinned, and thus end the sin problem? Because sin was something completely new in God's universe, and its inhabitants did not understand it. Probably even Lucifer himself did not fully comprehend it at first. Lucifer was a brilliant, highly respected angelic leader. His approach was doubtless one of great concern for heaven and the angels. It possibly ran something like this: "Heaven is good, but it would be improved with more angel input. Too much unchallenged authority (as the Father and Son have) tends to blind leaders to real life. Angels should not be required to take orders. We should give orders. God knows my suggestions are correct, and He is feeling threatened. We must not permit our noble leaders who are out of touch to jeopardize the very existence of heaven. They will listen if we move in unison. We must not be weak we must act. Otherwise, we will all be ruined by a government that doesn't appreciate us." Lucifer's arguments convinced many angels, and one-third joined him. If God had destroyed Lucifer immediately, some angelic beings who did not fully understand God's character may have begun to worship God through fear, saying, "Lucifer may have been correct. Be careful. If you differ with God, He may kill you." So nothing would have been settled. Instead, the problem would have been heightened. The only service acceptable to God is cheerful, voluntary service prompted by love. Obedience for any other reason is unacceptable. Satan claimed he had a better plan for the government of the universe. God is giving him time to demonstrate its principles. The Lord will abolish sin only after every soul in the universe is convinced that Satan's government is unfair, hateful, ruthless, lying, and destructive. The Bible says, "We are made a spectacle [margin says "theatre"] unto the world, and to angels, and to men." 1 Corinthians 4:9. The entire universe is watching as we each play a part in the controversy between Christ and Satan. As the controversy ends, every soul will fully understand the principles of both kingdoms and will have chosen to follow either Christ or Satan. Those who have chosen to ally with sin and Satan will be destroyed with him, and God's people will be taken to the eternal safety of their heavenly home. _____ On the North Star. _____ Rode a heavenly white horse. _____ Perfect in his ways. _____ Keeper of heaven's gate. _____ He was cast out of heaven. _____ He repented and stayed in heaven. _____ He hid inside a palace. _____ His name became Satan. _____ He was the first sinner. _____ Jesus saw him being cast out. _____ One-third of the angels fell with him. _____ To unseat God and take His place. _____ To fly across the entire universe. _____ He is red with horns and hooves. _____ His home is in hell. _____ He can appear as a heavenly angel. _____ He cannot work miracles. _____ He's a liar and a murderer. _____ He can call down fire from heaven. _____ Most people will follow him and be lost. _____ Satan was disguised as an angel. _____ Satan called God a liar. _____ We know Satan gave them apples. _____ Satan came to Adam first. _____ Satan hoped they would become immortal sinners. _____ In tempting them, Satan mixed lies and truth. _____ He will be turned to ashes in the fire. _____ His angels will escape. _____ The fire will be in heaven. _____ Satan and his angels will admit they were wrong. _____ The fire will also destroy sin and sinners. _____ Satan will confess God's justice. _____ Some might be afraid of God. _____ Lucifer was too strong for God. _____ The good angels would not let Him. _____ Time was needed to demonstrate Lucifer's plan. _____ Time was needed to vindicate God's plan. _____ God will work some miracles. _____ Every soul in the universe will kneel, confessing God's love and justice. _____ The angels of heaven will ask everyone to serve God. _____ Jesus has made sin's destruction certain. _____ Sin is breaking God's law. _____ Sin separates us from God. _____ Sin is easy to overcome. _____ Satan invented the sin of lying. _____ Once destroyed, sin will not rise up again. _____ Satan attributes his traits to God. _____ God loves us more than our parents do. _____ So-called "acts of God" are acts of Satan. _____ Jesus' life revealed God's character. _____ God the Father is stern. _____ Most people misunderstand God.